Brothers Joseph and Mark Mazzotta have spent the majority of their lives in the restaurant and pizza business. Joe and Mark worked their way through every aspect of the restaurant industry. They’ve held positions such as: dishwasher, potato peeler, busboy to waiter, bartender to pizza man, cooks to cashier. They pursued all of the phases from the “front of the house” to the “back of the house” and everything in between before moving onto management and ownership. As they effectively conquered layer after layer of experience in every facet within a restaurant; the brothers equally engaged in studying the consistency of various restaurant concepts or themes. Beginning with mom & pop pizzerias and delis, followed by fast-paced, high volume pizzeria restaurants, they interned in casual family Italian restaurants, high volume catering facilities, reputable hotels and notable franchises, all in the tri-state area. Joe and Mark’s journey began when very early in their childhood, their family was struck with a tragedy, the loss of their father. Their father was the patriarch of the family, thus this was truly a tremendous loss for everyone. His untimely death then forced their mother, who was a homemaker devoted to her husband and family, to go to work for her own brothers who owned several successful pizzerias in the Bronx and Westchester. The incalculable event also catapulted the brothers into the work force as their mother commissioned them to contribute to the household to help make ends meet. It was 1977 when Joe began his steadfast odyssey into the restaurant and pizzeria industry. Mark soon followed suit. It was at this time when they both discovered a passion for food and cooking. Joe and Mark continued to work with their uncle as well as embark on new restaurant venues and sources; unrelenting in their campaign to experience all angles of the food industry. 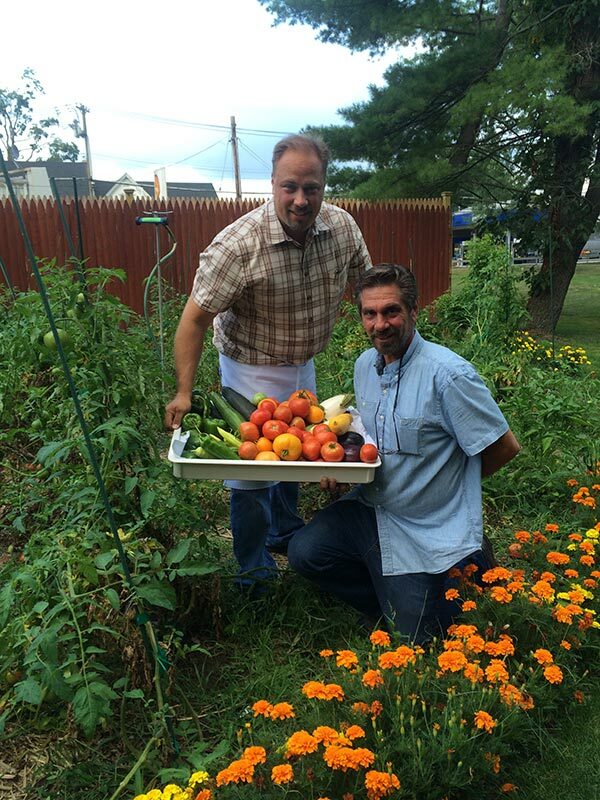 Although Joe and Mark began working in pizzeria’s very early in their lives, their new passion really started in their ancestral home, where Italian cooking was a common ritual within their household. Their grandmother, mother and aunts, had all fostered and seeded the foundation of their love of food, wine and wine making. They were fortunate to be surrounded by an Italian family who cradled their culture. Joe and Mark were the beneficiaries of this influence, as their grandmother, parents, aunts and uncles revealed the royalty of culinary crafting – Italian food means the freshest Italian ingredients and the fine craft of attentive cooking. 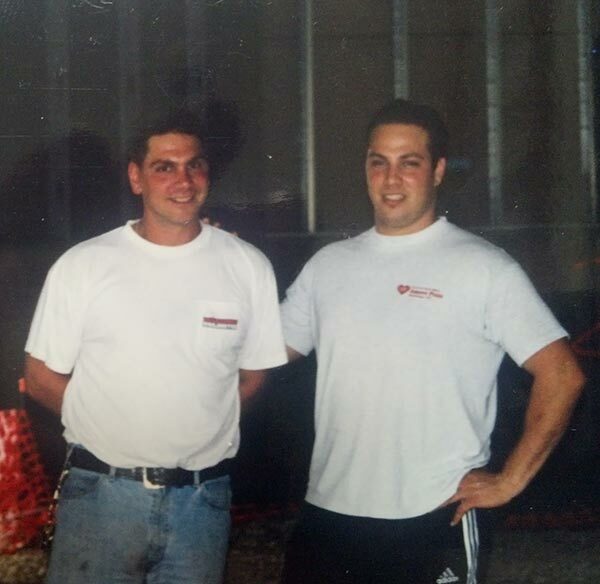 Fast forward to 1993, when Mark originally established his first restaurant, Amore Pizza in Scarsdale, NY. Previously, this daunting location had been a brief host to five business failures in three years. Subsequently, within two years, Mark transformed it into a high volume operation resulting in a multi million-dollar pizzeria. Joe and Mark together graduated to a larger casual family-style dining Italian restaurant and pizzeria when they opened their second successful restaurant in 1998 – Amore Pizzeria & Pasta – Armonk, NY, with a seating capacity of 150. Continuing their challenging careers, the year 2003 saw the opening of a seventy-five seat upscale Italian bistro, Pomodoro Trattoria in Greenwich, CT, then in 2005 – Amore Pizzeria & Pasta in Thornwood, NY opened its doors. The year 2007 – Antipasti a 350 seat sophisticated, creative and modern Italian-fine dining restaurant, lounge &amp; wine bar made its debut. And most recently in 2013, the Mazzotta Brothers reinvented themselves after 20 years (from original Amore) to a new location in the heart of downtown Armonk. They took an old roadside unattractive building, a graveyard to numerous restaurant failures……. torn it down and reincarnated it into a Tuscan style farm house, including a great bar, vegetable gardens, grape vines, outdoor terrazzo and event space. Amore has been relocated, redefined and is very well received by the community and beyond. Their formula is simple: a unique combination of quality, service, reliability and value. Independently family built, owned and operated. Beginning in 1993 and along the way, Mark & Joe have proudly sponsored and always participated in many community events and charitable causes. 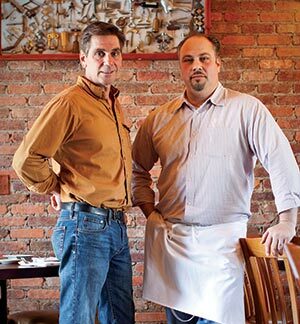 After five highly successful endeavors, the Mazzotta Brothers are constantly focusing on trends and results in the restaurant industry. They strive to search beyond the culinary world to discover efficiencies for their business objectives, for your most valued dining enjoyment!